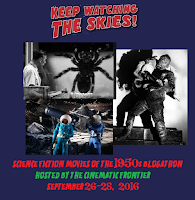 The Keep Watching The Skies Blogathon !! 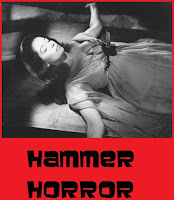 By the mid 1950's Hammer was best known for its small budget thrillers and crime pictures. 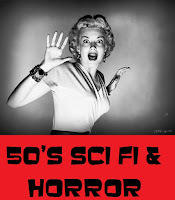 In 1955 however this changed when the British studio dipped its toe into the highly lucrative horror/sc-fi genre films (in particular the U.S. drive-in market) with this B&W outer space invasion opus that although well known for kick-starting Hammer's famous horror output can stand on its own as an excellent & creepy little film. 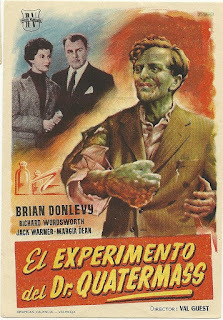 In addition it also features an amazing performance by Richard Wadsworth in the "title" role, Brian Donlevy playing take-no-prisoners style scientist, a host of British character actors and a horror tinged alien invasion plot that looks ahead to Hammer's coming decade and half (or so) of horrors. 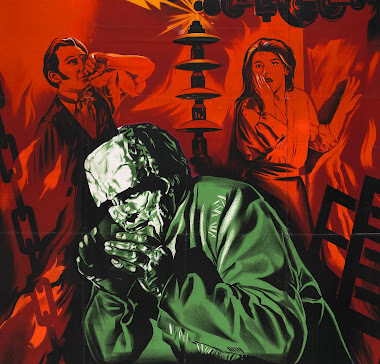 The film's success lead to a couple of sequels (QUATERMASS II aka ENEMY FROM SPACE in 1957 and later 1967's QUATERMASS AND THE PIT ) and as mentioned led to Hammer's color soaked Gothic horrors in the coming years. 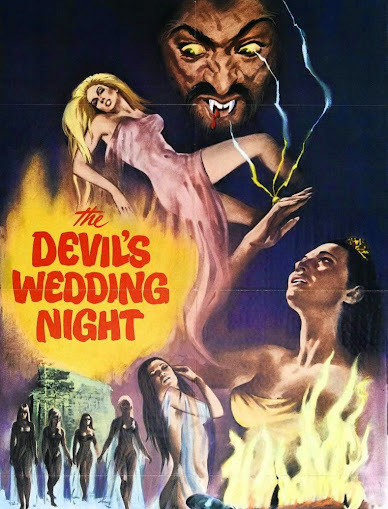 Directed in a nice economic style by early Hammer veteran Val Guest (whose work has been somewhat sadly eclipsed by Terence Fisher's classic work in the studios later Gothic horrors), it was the first Hammer movie with a major distributor in the U.S. (United Artists - who re-tilted it THE CREEPING UNKNOWN) and was based upon a BBC teleplay from 1953 written by Nigel Kneale. 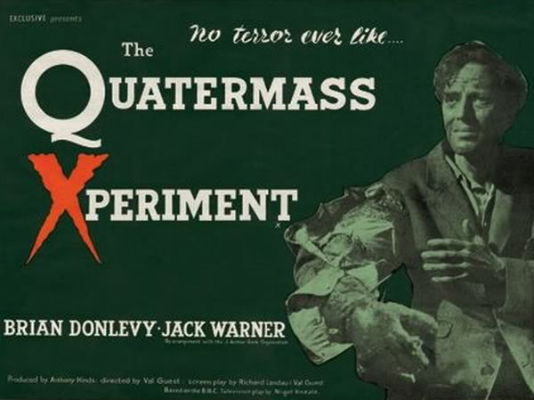 Immediately kicking its plot into gear QUATERMASS XPERIMENT (the X in the title is a neat bit of publicity by Hammer referring to Britain's "X" certificate for adults only horror) as a rocket plunges to earth and buries itself nose first into the English countryside. 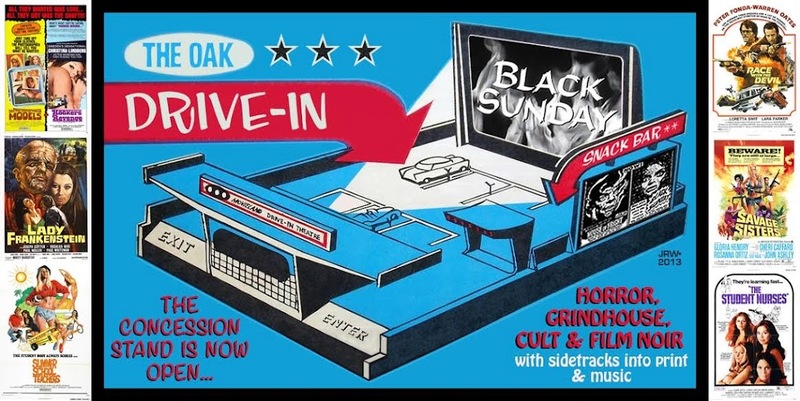 This necessitates the arrival of take charge and bullying scientist/ rocket designer Prof. Bernard Quatermass whose played to scenery chewing perfection by Irish/American character actor Brian Donlevy. Although born in Ireland Donlevy came to America at a very young age (later he served in the army with Pershing's Mexican expedition and flew with the Lafayette Escadrille) and appears about as far from an Englishman as you can get (Donlevy was most likely added for American box office padding). 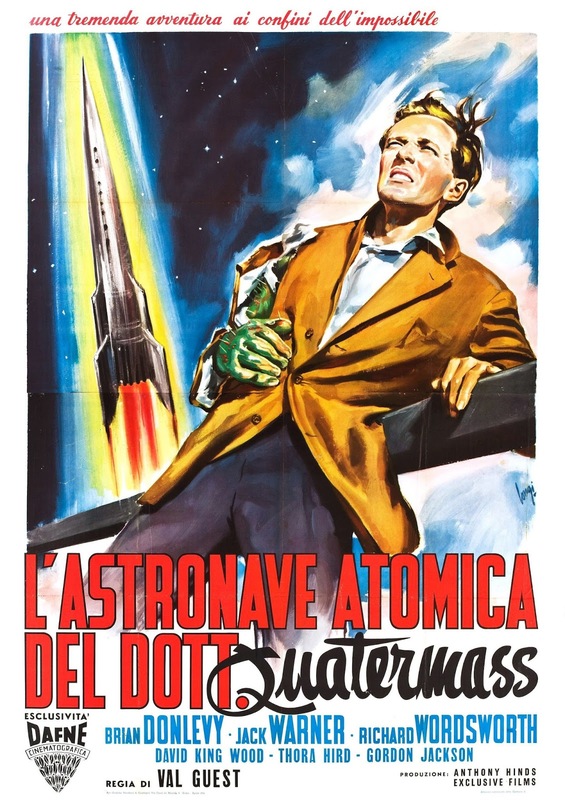 The crashed rocket presents itself with a nifty locked door mystery as two crewmen are missing (with only their empty spacesuits remaining) with the third alive but in a catatonic state with his bone structure oddly altered. Taking charge of the situation Quatermass hustles Victor Carroon (Richard Wadsworth) the remaining crew member off to his laboratory along with Carroon's dotting wife Judith (American born actress Margia Dean) where he begins to study the silent and non-blinking survivor. Brushing aside the wife's concerns ("Don't worry..He's fine !) 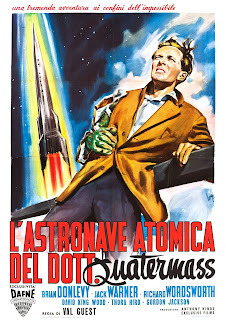 and strong arming the local police (who for some odd reason feel the need to investigate the rocket's missing crewman) Donlevy's Quatermass stomps through the proceedings acting like every other other character is a clueless idiot all the while berating and yelling at anyone who attempts to question his motives. Quatermass begrudgingly allows Carroon to be transferred to a hospital and this allows his increasingly fraught wife to attempt to smuggle him out. Also about this same time Quatermass discovers that Carroon's body is slowly being taken over by an invisible microbe that entered the spaceship and is able to absorb other living organisms. This brought horrifically into the plot by having Carroon viciously smash a potted cactus in his hospital room before killing a private detective who was helping his wife. Guest's direction is superb here as he doesn't show us immediately what the after effect of Carroon's attacks in regards to his evolving physical state is as we just get quick glimpses of smashed half eaten way faces of his victims. 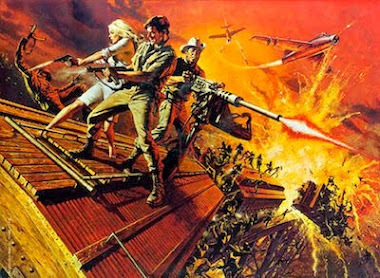 During an attack on a chemist we see Carroon's arm has become a hideous mutated appendage with cactus thorns protruding from it (the film features some excellent make-up effects by Phil Leakey). 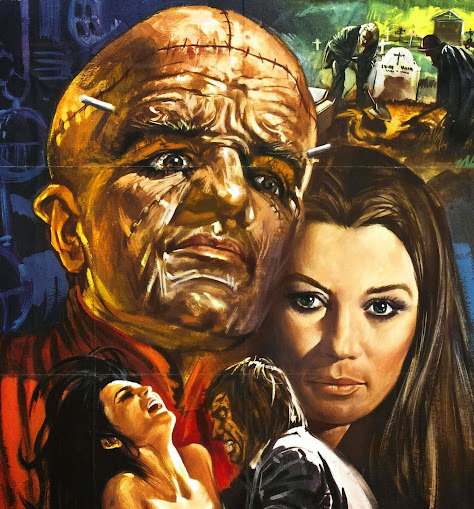 There's also an unsettling scene where Carroon encounters a small girl in a dingy riverbank setting that brings to mind Karloff's tragic encounter in the original FRANKENSTEIN from 1931. 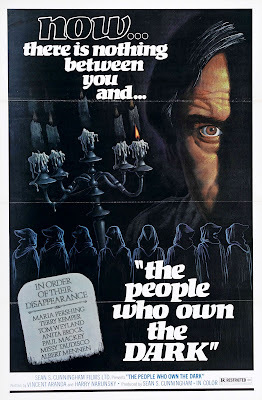 Eventually all that's shown is slimy trail discovered in various places in London which makes us wonder what he's become which leads to the films climax in Westminster Abbey with the Lovecraftian -like monster perched amongst scaffolding in the hollowed Gothic surroundings. 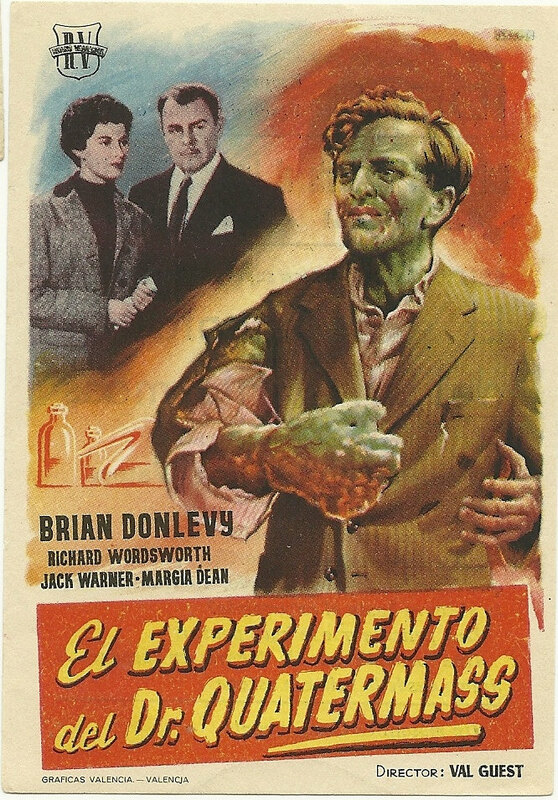 Richard Wadsworth is truly wonderful here as the pitiful recipient of the space virus and in an almost totally silent role (his only words are a whispered "Help me.." as he's carried from the rocket) as he uses only his eyes and body movements. 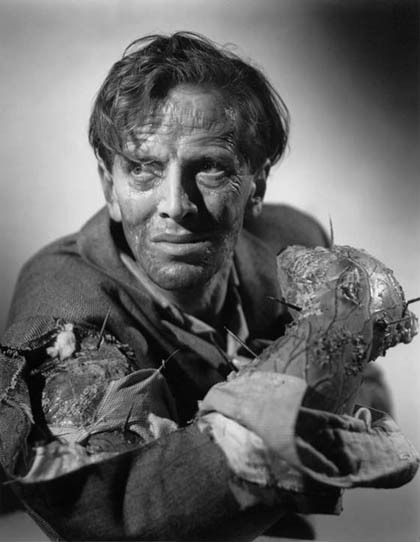 He would appear memorably as the ill fated beggar in CURSE OF THE WEREWOLF (1961) and had a small but interesting role in 1958's THE REVENGE OF FRANKENSTEIN. 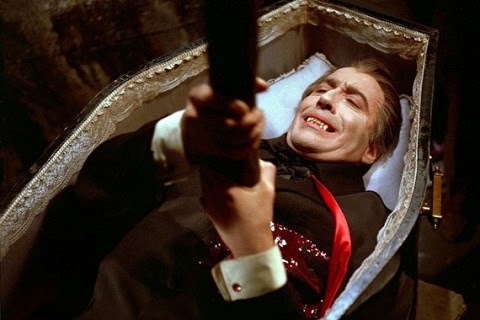 Not to fault Christopher Lee in anyway and as great as he is in Hammer's Gothic debut CURSE OF FRANKENSTEIN it would have been interesting to see Wadsworth as the monster. British character actor Jack Warner shows up as a harried police inspector (a type of role he would play over and over) and helps ground the film and serves as its everyman moral compass. 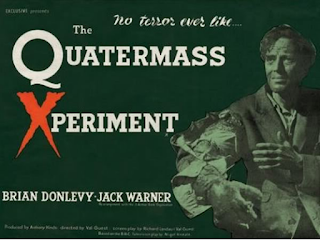 As noted above THE QUATERMASS XPERIMENT proudly displays its British Board of Censors "X" rating (no one under 16 admitted) and this was boasted about on it's advertising material. 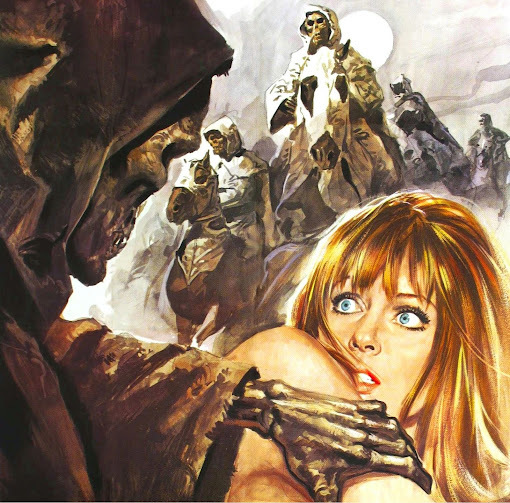 The film does contain some startling images including corpses with malformed faces and gaping blank eye sockets alonh with a disturbing view of a deserted zoo with dead animals strewn about as the result of the creature's rampage (an image that stuck with me as a child). 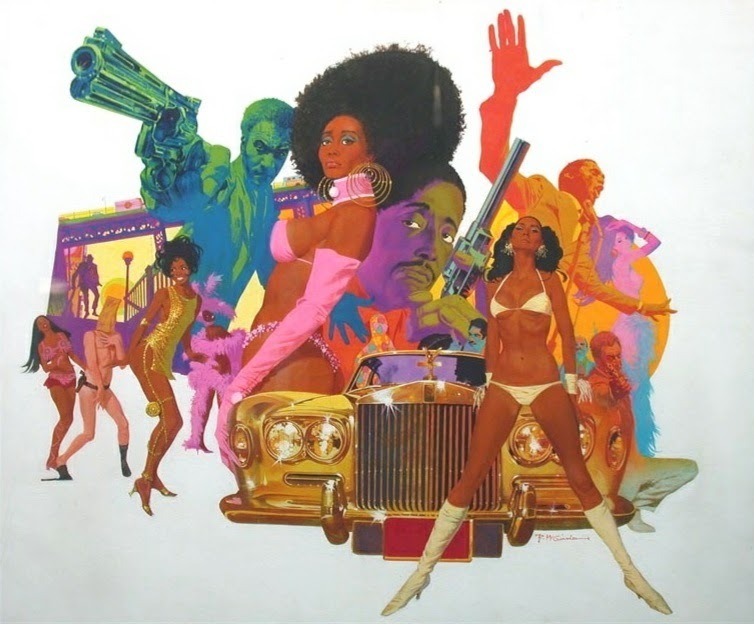 A big thanks to The Cinematic Frontier for hosting this blogathon. 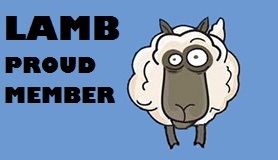 I'm really looking forward to reading all the posts !